Between the warmer temperatures and freedom of holiday breaks from work and school, brick and mortar businesses notice an increase in foot traffic during these summer months. Other industries also observe a pre-Christmas business serge which welcome new customers into the database. Their lasting impression and experience with a business could be the difference between a one-off customer and one who returns. First impressions count and staff uniform appearance can be the difference between a professional first impression and one that’s not. Staff uniforms must serve a dual purpose of functionality and professionalism so staff are comfortable and their job is not restricted, and appearance is top-notch. Below are three things to consider when looking for a staff uniform for the summer. When thinking about the uniforms or apparel requirements of your business take what type of work you are doing into consideration when purchasing. Working in different environments will naturally impact on the type of products required. If you’re unsure it’s best to speak with your local EmbroidMe store about options best suited for your business. Working in the outdoors, food industry, and flammable areas will each require different products in their own right. With a wealth of products available choice can quickly become overwhelming and deciphering the product codes can become confusing. Products have different feature ratings such as breathability and longevity so you’ll want to get this right to obtain the ‘perfect fit’ for your organisation. Your industry and business will impact the type of uniform branding your organisation requires. For example, hospitality may require a high quality embroidered logo on the left chest to be easily recognised, while tradesmen might require a name, role, business logo on both the front and back of each garment so they’re easily identifiable. EmbroidMe doesn’t only brand shirts but can supply them too, and often at a competitive rate! 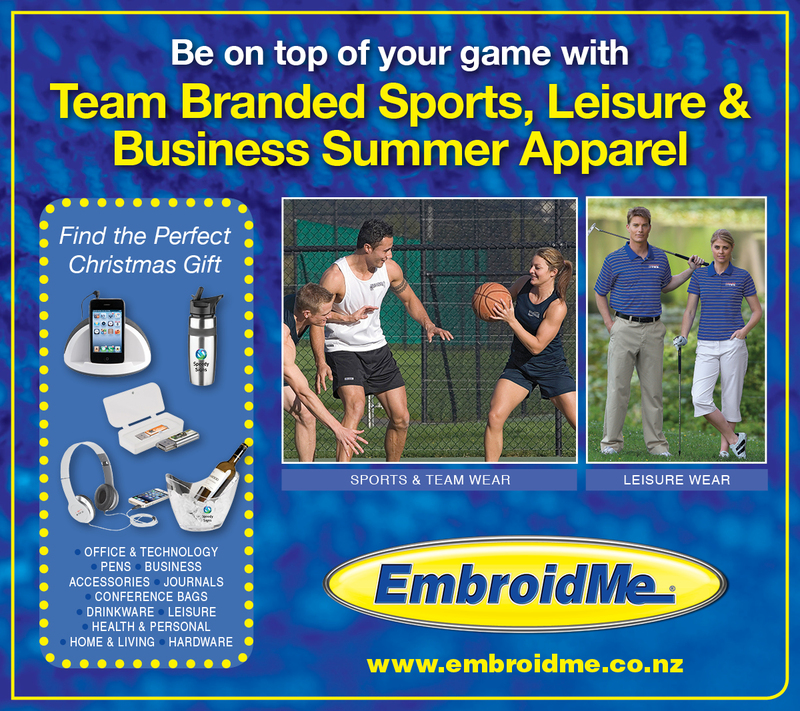 EmbroidMe is a network of branding solution companies specialising in branded clothing and promotional products. In fact, we’re New Zealand’s largest branded apparel group so we’re confident that we’ll be able to find the best solution for your business to Get Noticed. For further advice on sourcing the right staff uniform talk to our team today and consider the points above before making your next purchase. Summer clothing, uniforms, and apparel! Summer is the season of sun, warmth, and holidays, and the good news is that it is only a few months away! Summer sees the longest days, the shortest nights, and offers prime conditions to enjoy all that the great outdoors have to offer. When the sky is blue, the sun is shining, and the wind is nowhere to be found these days are great to get out of the house and enjoy the beautiful country. Summer is a great season to be active, get involved with a sport, or relax with family and friends. Motivation to get up and moving tends to increase over the summer months as weather improves. To be comfortable outdoors you need quality clothing perfect for your kind of activity. At EmbroidMe, we supply and brand a huge range of summer clothing options. This includes t-shirts, polos, sports team uniforms, hospitality uniforms, and retail uniforms. Sports teams need a uniform that is comfortable, durable, breathable, and well suited to their kind of sport. Hockey, tennis, rugby, cricket, athletics, soccer, basketball, badminton, lawn-bowls, rowing, and netball have those same requirements that the uniform needs to enhance their team, not be a hindrance. 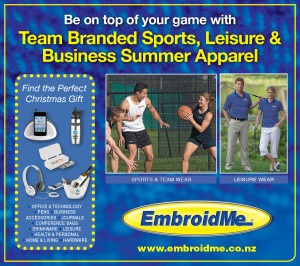 Talk to the friendly team at EmbroidMe about the right sports team uniform for your sports team. We are the branded apparel specialists. Corporate sports events are a great way to encourage staff to be active, promote the company as one that values health and well-being, and also a great way to market the business through branded tshirts and clothing. School sports teams need to promote school pride and colours, while also being affordable, quality, and durable. Outdoor activities: To enjoy the outdoors it’s important to get the right apparel solution. Going to the park with the family, heading out on the boat or the golf course, or other recreational activities such as playing golf, out on the boat, at the beach or park, playing causal sports. Smart casual: Enjoying a glass of wine or beer after work in a causal environment, or going out to a BBQ, staff work function – there’s many situations where smart casual clothing comes in handy. With no minimum orders and free quotes, contact us today to discuss quality summer casual attire in time for summer. Summer retail uniforms: summer typically sees a greater number of retail sales and a higher volume of shoppers. It’s important that staff, whether full-time, part-time, or casual, provide customers with a great first impression, and are easily identified so customers know where to direct questions and enquiries. Boost sales this summer through quality first impressions, led by great staff uniforms. Cafes & Restaurant Staff: People are typically more outgoing in the summer, and this ultimately impacts positively on traffic to cafes and restaurants. Requirements vary depending on the type of food outlet however all staff require being presentable and uniforms need to be easily cleaned. Event Staff: Staff need to either be noticed so visitors know who to ask questions, or blend in to the behind the scenes and event operations. Either way, we have the perfect solution for your next event. The holiday season boasts many celebrations and events such as Christmas, so it’s the perfect opportunity to thank staff, team members, clients, and customers for their hard work, loyalty, and efforts over the past year. 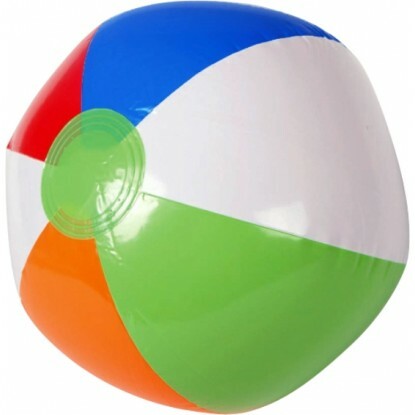 What better way to do this than with branded and/or personalised promotional products. The final months of the year typically go by very quickly so take the stress out of the final few months and enquire today.